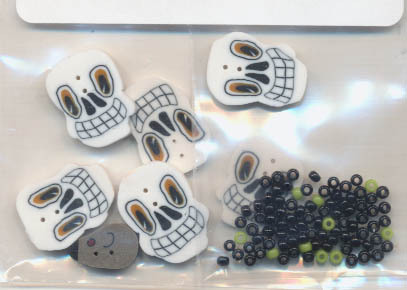 Note: The Murky Manor chart DOES provide a stitch option for the skulls on the fence posts, in lieu of the buttons. However, there is not a stitch option for the rat. If this item is out of stock contact us and we will try to order it with our next Glendon Place wholesale order. Also add it the Wait List. That way you will automatically be notified when it is back in stock.